President Trump's pick to oversee the Superfund cleanup program has agreed to avoid decisions related to more than 170 sites for which his former employer is partially responsible. 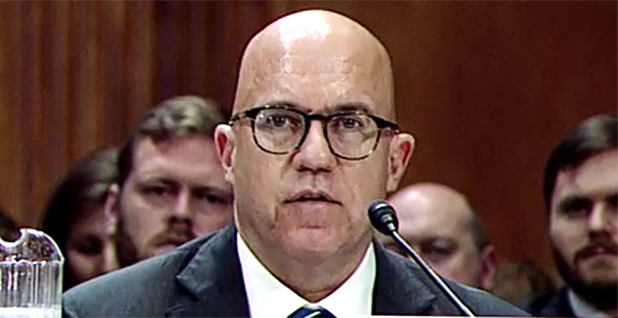 Ethics documents obtained by E&E News under the Freedom of Information Act mean Peter Wright, who is awaiting Senate confirmation to lead EPA's Office of Land and Emergency Management, won't be able to weigh in on roughly 14 percent of all the toxic waste sites on the National Priorities List of Superfund sites eligible for federal cleanup dollars until July 2020. Wright promised to avoid getting involved with 171 proposed and final sites on the National Priorities List as well as nearly 130 sites that have been removed from the list or may one day be added to it, an EPA spreadsheet shows. An EPA spokesman stressed that Wright would still be able to work on the majority of toxic waste sites under EPA's management. "Mr. Wright may work on 86 percent of all Superfund sites," EPA spokesman James Hewitt told E&E News. Currently working as a senior adviser to acting EPA Administrator Andrew Wheeler, Wright spent nearly two decades as a top lawyer at Dow Chemical Co., which last year merged with E. I. du Pont de Nemours and Co. The polluted tracts he's promised to avoid include sites that both Dow and DuPont are responsible for cleaning up. In a recusal statement signed by Wright shortly after joining EPA last month, he additionally said that for the duration of his time there, he would "not participate in any matter that I previously worked on personally and substantially." Wright is also recused from getting involved in any decisions that could affect DowDuPont Inc. or the "chemical industry sector" for as long as he continues to own stock in either. He promised to sell off his holdings in both "within 90 days of my federal appointment." The recusal statement established a system for Wright to prevent potential conflicts of interest that could arise related to DowDuPont and the polluted sites it is responsible for or the alumni association for Wabash College and the frat house he belonged to there. "I will instruct Barry Breen and/or Steven Cook, Deputy Assistant Administrators [for Land and Emergency Management], to assist in screening EPA matters directed to my attention that involve those entities or sites," the statement says. The arrangement involves a career staffer and political appointee. Breen has been at EPA for decades. But Cook is a former lawyer at chemicals company LyondellBasell Industries NV with his own list of conflict-of-interest considerations (Greenwire, June 18). The recusal statement dated July 24 may go a long way in alleviating the concerns that Sen. Tom Carper of Delaware, the top Democrat on the Senate Environment and Public Works Committee, had about Wright's pre-confirmation work at EPA. Before the panel voted along party lines to advance Wright's nomination, Carper said he was worried the former Dow lawyer was working without a binding ethics deal (Greenwire, Aug. 1). Along with Wright, William "Chad" McIntosh, another Trump nominee, was hired as a senior adviser at EPA. The president picked McIntosh to lead the agency's Office of International and Tribal Affairs. He also signed a recusal statement, dated July 31, on how he would step away from his former employer, Ford Motor Co.
McIntosh retired from the auto giant in September 2017. He noted in his recusal that since he continues to hold stock in the company, he cannot participate in EPA matters that will have "a direct and predictable effect" on Ford's financial interests. He will also continue to take part in Ford's vehicle lease program as part of his executive compensation plan. McIntosh will also remain a trustee for his mother's trust but cannot take EPA action to affect the trust. He also said that he understood the obligations of President Trump's ethics pledge and that he is barred from participating in "any particular matter" involving Ford until July 20, 2020 — two years after he joined the federal government. That includes meetings or communications with Ford, unless they apply to matters of "general applicability" or events open to all those interested. Jane Nishida, a top official in EPA's international office, will screen agency matters for McIntosh, and he will update his statement if something changes. 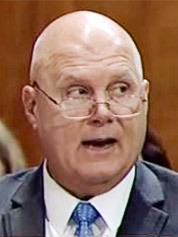 The Senate Environment and Public Works Committee also approved McIntosh's nomination last week along with Wright's, both on narrow party-line votes. They have not been confirmed by the full Senate. 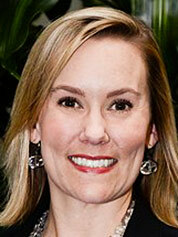 Anne Idsal, head of EPA's Dallas office, was also issued various ethics documents after she joined the agency. Idsal was given an "impartiality determination," dated Dec. 28 last year, so she could weigh in on certain issues involving Texas. Before coming to EPA this past December, she worked in Texas state government, specifically as chief clerk and deputy land commissioner for the Texas General Land Office. As Region 6 administrator, Idsal oversees EPA operations in Texas as well as Arkansas, Louisiana, New Mexico and Oklahoma. "Under this limited authorization, you are authorized to participate in new or future specific party matters that involve the State of Texas, but not on the very same specific party matters on which you worked on personal and substantially while employed by the TX GLO," said Kevin Minoli, EPA's designated agency ethics official, in the document. "This 'cooling off' period with the state of Texas will last for one year from the date you left the TX GLO," Minoli said. Idsal could seek to participate in matters she worked on in the past, but she would need to seek additional authorization to do so. Further, she will also not work on issues at EPA that she worked on while at the Texas Commission on Environmental Quality. Idsal signed a recusal statement too, dated July 24, laying out other steps she will take when it comes to ethics. She will not participate in EPA matters that could have "a direct and predictable financial effect" on Idsal Family Properties Management unless she obtains a waiver. In addition, Idsal is disqualified from participating in any matter involving the Valley Crossing pipeline for as long as she has an interest in a pipeline easement with the project. Under President Trump's ethics pledge, she will be involved in EPA matters with the Leukemia & Lymphoma Society during her recusal period, which lasts two years from when she joined the federal government. Idsal is also recusing herself from the "Texas Region Haze 5 Year Program Report" and the "Texas SO2 Transport SIP" under attorney bar obligations. Region 6's acting deputy regional administrator will help in screening EPA matters for Idsal so she stays in line with her recusal. In addition, she will update her statement if circumstances change.